adaughterofthemanse: Father and Daughter Soup. I helped make a soup with my Dad. Here is a link to my Dad's blog . He has the soup up there too. Now please note. I am not much of a cook. I used to take not much interest in the kitchen, until the end of last year when my Mom suddenly had to go away. And I had to stand up and take charge. Then I realized that I was not going to get very far in life unless I learned how to cook. Before that, all I cooked was stuff that could come out of a box, but that was not very good. Especially when I thought of all the good and yummy food my Mom and Dad made! So one day I told my Dad that the next time he made soup I wanted him to show me how. And he did, bless his heart. Now you may be wondering why I chose my Dad to teach me how to make soup and not my Mom... Well here is why. My Mom sticks to a recipe and she seems always in a hurry, and I don't learn by reading a recipe. The most she would likely say is "Read the recipe for goodness sake!" Whereas Dad takes his time and is willing to explain. 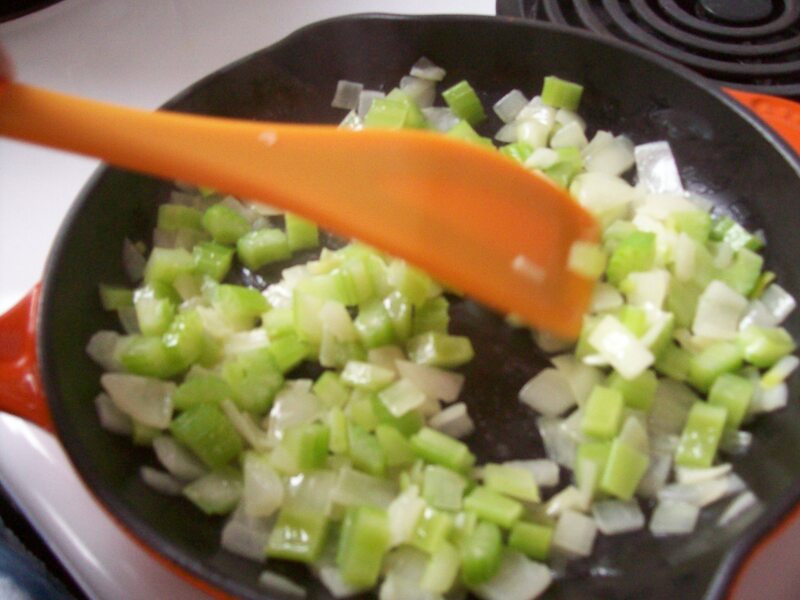 The onion and celery were finely chopped and sautéed in butter, then added to the stock. Chopped carrots and parsnips were stirred around in the remaining butter; then, they too were added to the stock. The turnip was chopped and put in the pot; as were the lentils. All was brought to a rolling boil, reduced to a high simmer/low boil, covered, and left until all the vegetables were soft. 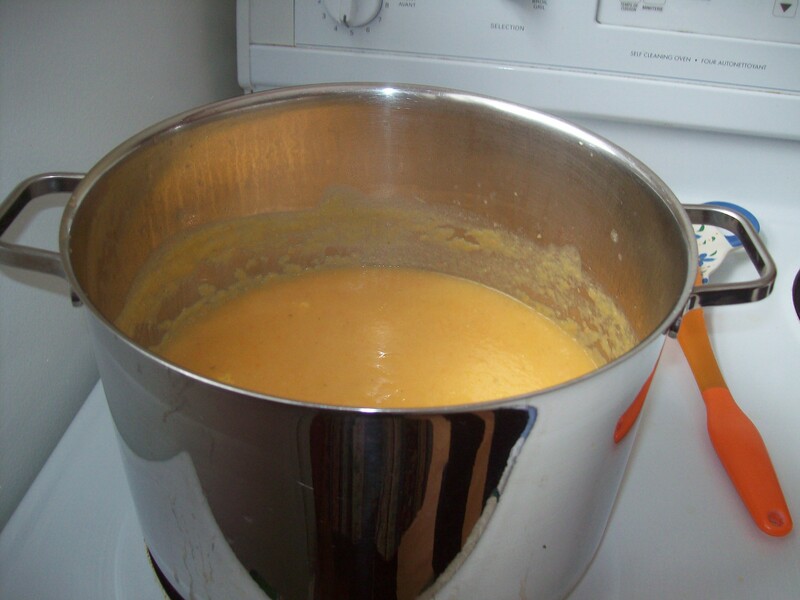 Once ready, the soup was zschooked: that is, it was removed from the heat and blended using a hand blender. At this point the seasonings were adjusted: salt was added, along with a pinch of dried parsley and two pinches of fines herbs. The soup was returned to the heat, brought up to serving temperature, and served. This is thick soup. Rinse the end of the blender before you sit down to eat. When reheating, it is a good idea to add more stock/broth. The four of us had a cup of soup each, with bread and cheese, which left about six cups. We divide the soup equally into two containers. When we have this soup again, we’ll add a cup of stock to the three cups of soup. Well it was a good soup and some more good memories. It was yummy soup! And I'm proud of you for making it with Dad, and for helping me with soup on Tuesday.